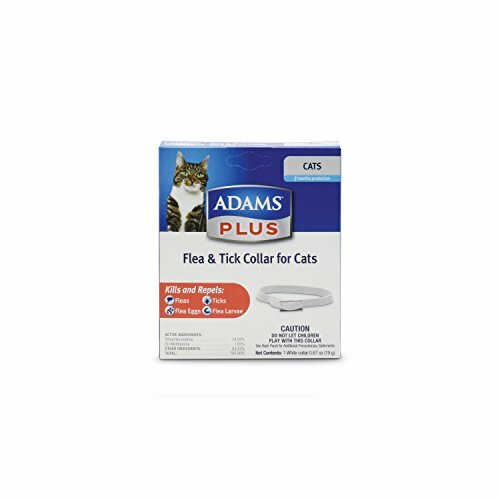 » What Are The Best Flea Collars For Cats? ​A cat's worst nightmare must be to have a flea infestation. If you have ever seen a kitty infested with fleas, it is not a pretty sight. Your cat may have fleas but not necessarily an infestation and this is something that as cat owners, we have to deal with. Fortunately the problem can quickly be reversed. 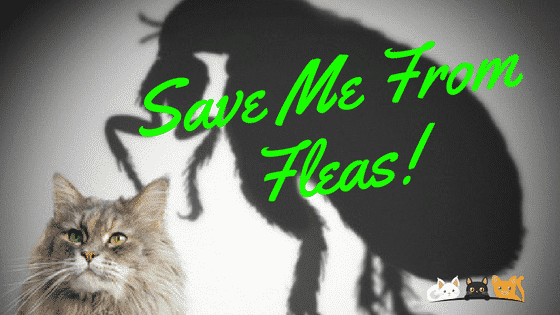 Flea ​collars are highly successful but treating fleas is something that needs to be ongoing. The good thing about some flea collars is that they remain effective for a long time. The Bayer Seresto Flea collar is active for 8 months. Just because you get rid of the fleas doesn't mean they won't come back. They will, ​eventually. Handy Hint: Write the expiry date of the flea collar on a calendar, a few days before the collar expires, ​which gives you time to purchase a new one before the old one loses effectiveness. Are Cat Fleas Dangerous To Humans? How Long Are Flea Collars Effective? Look for a collar that has a breakaway aspect or a safety catch. This is a safety feature so that if the cat becomes entangled, the collar will break away with the cat's body weight. Check to see if the collar is water resistant or if the effectiveness of the collar will be lessened if the collar gets wet. Check the length of time that the collar remains effective and record the expiry date. Those 'use by' dates seem to creep up and it is the same with the flea collar, the expiry date can come and go and be forgotten. For this reason buying collars in packs of two, four or six is a good option. If your cat has known skin allergies be aware of any potential irritants. As a precaution, certainly check the first few days of a new collar being fitted to ensure there are no irritating factors for the cat. We have chosen the two most popular cat flea collars to review and compare so that you can make a choice with all the relevant information. The active ingredients are released slowly over time hence the 8 month time frame for repelling and killing fleas and ticks. Repeated exposure to water and sun or rain will reduce the time the collar remains effective. It has a release mechanism in case the cat gets entangled. The cat’s own bodyweight is enough to trigger the release. The collar is suitable for all cats, long hair and short hair. This collar kills fleas for up to 8 months. In addition to killing fleas, it kills ticks, flea eggs and flea larvae. It is suitable for all cats, long hair and short hair. The collar is easy to put on and is easily adjustable. There are chemicals used, so follow the manufacturer's instructions. Some cats can have dermatitis like reactions so check in the early days of wearing the collar that there is no adverse skin reaction. The collar needs to be stretched to activate the ingredients. This is not listed as a problem but rather something to be aware of when using for the first time. The odor can be quite strong. It starts working straightaway but it can take up to a week to see the full effect of wearing the collar. Cat fleas can cause redness and itching often around the feet and ankles on humans. It is not a pretty sight and those bites are extremely itchy. The best way to avoid this is to keep the cat and house free of fleas. Fleas are an irritant to the cat and can cause discomfort but can also be responsible for medical conditions such as flea bite anemia, tapeworms and dermatitis. Children can be exposed to these parasites by playing with flea infected cats. These concerns should be taken seriously. That will depend on the brand you buy and is also reflected in the cost. ​A collar that lasts longer will cost more to purchase initially however because it lasts longer you will not need to purchase so often. Collars last from one month to 8 months depending on the brand. Watch the video for an explanation of how to fit a flea collar. 1.​Effectiveness and Safety​ 2.​Price ​3.​Convenience. Flea collars all contain chemicals and some cats will have a reaction. Please do check the neck area of your cat in the first few days/weeks of wearing the collar. ​There are literally thousands of satisfied customers. 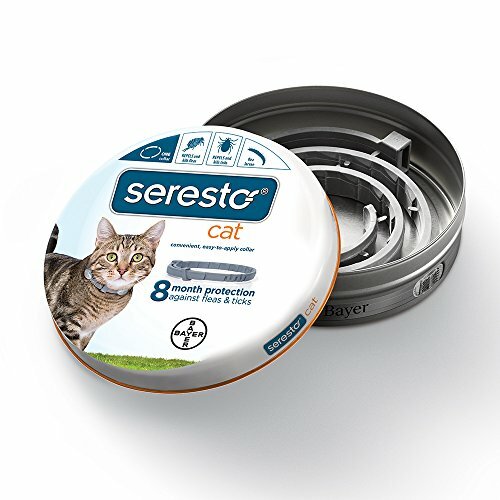 The Bayer Seresto collar is not greasy and the slow release of the active ingredients makes it hard to beat. These ingredients are released continuously over the eight month period life span of the collar. You are getting a quality product with the safety aspect of ​a release mechanism that allows the cat's own strength to widen the collar and act as a quick release if your cat become entangled. ​For more information about the fight against fleas in cats, these articles may be helpful. ​Cat flea drops that are given topically are a very popular solution to fleas on cats. Read here to find out more. ​This article explains the different types of cat flea treatments available.